PEDALS & PARTS : Bear's Performance Parts, Gettin You Hooked Up! 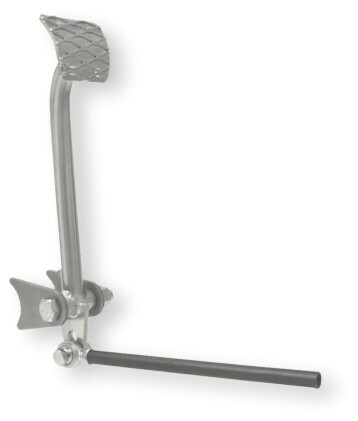 Bear's Brake Pedal kit includes; welded pedal (nickel plated), rod end, mounting tabs and hardware and pushrod. Some welding required. This quick release cable ball joint is perfect for throttle and parachute linkage, threads are 10/32" and includes nylock nut. Bear's gas pedal comes pre welded and is nickel plated for long term protection. Expanded metal is used on the foot pad for grip. 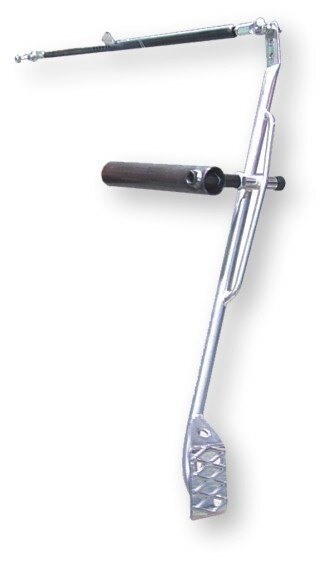 Bear's gas pedal kit iincludes a welded pedal (nickel plated), support tube, linkage, cable ball joints and hardware. Some welding required.